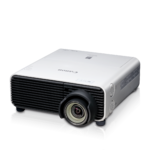 The REALiS WUX500 Pro AV Compact Installation LCOS Projector delivers high performance WUXGA (1920 x 1200) resolution with 5000 lumens of brightness and up to a 2000:1 contrast ratio. These features combined with an advanced Genuine Canon projection lens and Canon's proprietary LCOS technology with AISYS-enhancement helps to produce crisp, bright images with exceptional colour reproduction. Along with this high brightness and high resolution, this model Includes a DICOM Simulation Mode for the display of monochrome digital X-rays, CAT scans, and MRI's with accurate colour and precise detail. This special mode simulates the results of devices compliant with the Digital Imaging and Communications in Medicine (DICOM) Part 14 standard. For added flexibility, within this mode users can select from either blue or clear base and can further adjust the colour temperature according to their individual preferences. With the WUX500 D in the Picture by Picture mode it is possible to view two inputs side by side with one input set to DICOM simulation mode and another input set to a different mode. 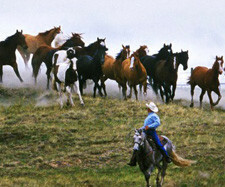 This allows for a variety of teaching combinations. 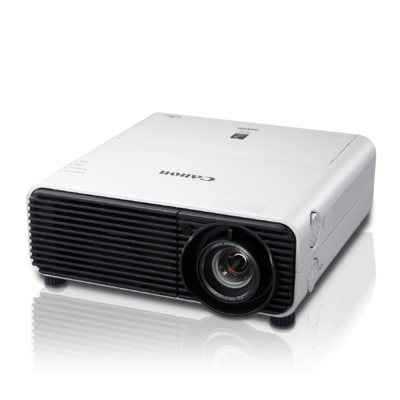 The advanced optical system on the WUX5000 D allows the projector to virtually maintain a constant level of brightness throughout its 1.8x zoom range – a unique feature that provides both flexible projector placement and value by eliminating the need to over-specify a higher lumen projector for longer throw applications. The WUX500 D is HDBaseT compatible and is equipped with many leading industry interfaces including HDMI, DVI-I, USB, RJ-45, and RS-232C. Built-in network management is possible via PJLink, and compatibility with Crestron & AMX systems ensure the REALiS WUX500 D will seamlessly integrate into virtually any system infrastructure. Other key functions include 4-Point Keystone Correction, built-in Edge Blending, PC-Free Multi Projection (JPEG only), Vertical Lens Shift (0-60%), Network Multi Projection (NMPJ) over WiFi, PC-Free Presentations, and other features enabling installation versatility, advanced image adjustments and professional calibration settings.